ACM SIGGRAPH’s unified graphic identity strengthens the organization’s name and image via a distinctive mark applied consistently throughout all of our events, publications, and activities. Our logo use policy describes the logo in clear terms and defines general classes of acceptable and prohibited use. It does not attempt to define every imaginable use of the logo, but it provides a clear path to seek approval for variations on the standard logo and its permitted variations. The ACM SIGGRAPH organization logo and the ACM SIGGRAPH annual conference logo are registered trademarks of the Association for Computing Machinery, Inc. (ACM) These logos are valuable legal and intellectual assets, and their unauthorized use is prohibited. Questions regarding this policy should be directed to the ACM SIGGRAPH President. The basic ACM SIGGRAPH logo consists of two parts: the graphic element and the text element. The graphic element is a pair of interlocking partial spheres (see Figure 1). 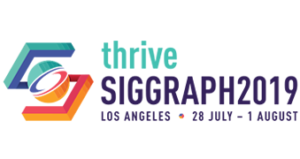 The space between the two pieces forms a stylized “S,” alluding to the “S” in the SIGGRAPH. The partial spheres can be represented in either two or three dimensions. The text element’s content may vary by application (for example, ACMSIGGRAPH or SIGGRAPH 2015), but it must be set in a specific font: Helvetica Neue and Helvetica Neue Bold. And the proportion of the text size to the graphic element should remain the same. 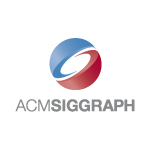 “SIGGRAPH” is bold, and “ACM” or the conference year is not bold. No space is used between “ACM” and “SIGGRAPH,” or between “SIGGRAPH” and the conference year, as the use of differing typeface weights implies a space. Groups associated with the organization or annual conference that use the logo should follow the appropriate example, above, when preparing a text element for their specific logo. The graphic and text elements may be arranged side by side or with the graphic element centered above the text element (see above). Proper use of the logo will incorporate both the graphic and text elements. It is understood, however, that certain uses of the logo preclude the inclusion of the text element. For example, use of the logo on a pin or badge, or on the spine of a book may necessitate the use of the graphic element alone. Wherever possible, however, the graphic and text elements should be used together. The ACM SIGGRAPH organization logo shall use the following colors: the graphic element shall be red (Pantone 201 CVC, HEX #9D2235, RGB 157, 34, 53) and blue (Pantone 646 C, HEX #5E8AB4, RGB 94, 138, 180) and the text element shall be grey (Pantone Cool Gray 8 CVC, HEX #888B8D, RGB 136, 139, 141). The ACM SIGGRAPH annual conference logo, a variation on the organization logo, will have a color palette that is selected by each year’s conference committee and applied consistently on conference material. Additionally, texture may be applied to the graphic element, and if desired, a background image may be placed with the conference logo (see Figure 3). Use the following code to link directly to the current conference badges. Note that these HTML code snippets validate both as HTML 4.01 Strict and XHTML 1.0 Strict. As such it should be fine to embed on just about any web site. The logo and text should be used together, as defined, whenever possible. The typeface shall not be altered or replaced with another. The proportions of logo and text shall be retained. It is understood that certain design opportunities necessitate the use of the logo without the text. Decoration of the logo is acceptable as long as the basic logo remains clearly visible. Entities associated with the organization or annual conference are welcome to use the organization or conference logo, as appropriate, to promote their events and/or describe their activities. Individuals may use the logos to acknowledge their membership in the organization and/or their participation in a sponsored event. It is also acceptable to grant permission to third parties, such as news organizations, to use the logos for promotional purposes. Combination of the organization or annual conference logo with another logo. 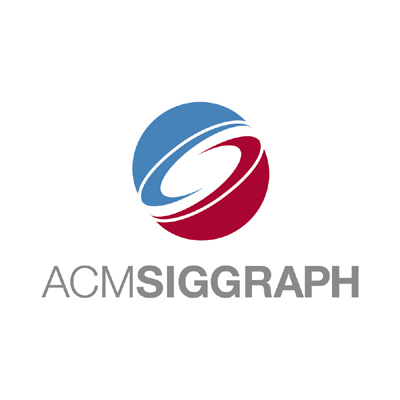 Requests for use of the name or logos which fall outside the scope of the policy, or proposed variations on the logo design, are to be brought to the attention of the ACM SIGGRAPH President. Lack of response within two weeks can be construed as approval of the proposed use and/or variation. Variations on the ACM SIGGRAPH organization logo – differing in color resolution, file format, and arrangement of the graphic and text elements – are available to download.